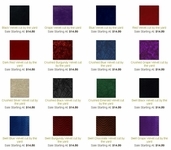 Looking for that special funky color or funky print fabric for your project? 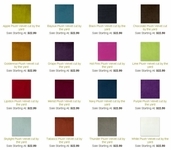 We now offer all our complete funky fabric collection on a cut per yard basis. 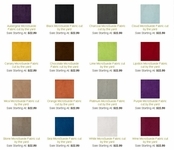 All our quality fabrics are 100% microfibres and are cleanable with just plain old water or a simple wet wipe. 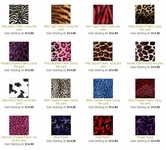 Click on any one of our six EZ Care fabric collections below to see all the colors and patterns and to order your cut yardage online.